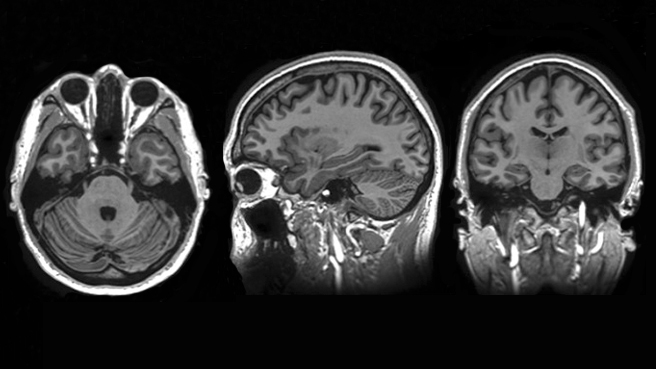 The reality of magnetic resonance imaging, or MRI, machines is one of size — large, both in cost and physical space. This, then, restricts access to needed medical diagnoses. But what if you could shrink both and still produce high-quality MR images? Or even improve the quality of images that can be obtained today? Mayo Clinic researchers, in a partnership with GE’s Global Research Center and funding through a National Institutes of Health Bioengineering Research Partnership grant, are hoping to answer that question and many others, now that a new, one-of-a-kind compact 3-Tesla MRI scanner has been installed in Rochester. Already, the work done for the compact 3T scanner is expected to benefit the Proton Beam Therapy Program. Just like images from the compact 3T, MRI images used for radiation therapy planning with the Proton Beam program require the highest possible geometrical accuracy. Dr. Bernstein says his lab has developed ways to reduce distortion near the edge of scanner images. “A lot of the technology, developed by Josh Trzasko, Ph.D., Shengzhen Tao, M.S., Paul Weavers, Ph.D., and Yunhong Shu, Ph.D., spins off directly to the radiation therapy planning at the Proton Beam, so we’re very excited about that,” Dr. Bernstein says. This type of compact MRI machine is important for many reasons, from patient access to the practical aspects of placing or “siting” an MRI scanner at a particular location. In addition, standard MRI machines use large quantities of liquid helium to keep the superconducting wires of the magnet extremely cold, approximately minus-452 degrees Fahrenheit. Helium is an expensive, nonrenewable resource, of which there have been recent worldwide shortages. Traditional, whole-body MRI scanners use up to 2,000 liters of liquid helium, though this compact MRI scanner uses only about 12. This reduction, in addition to saving money, solves another issue, related to siting. With 2,000 liters of helium, a reinforced vent stack that leads to air outside of the building is required, in case the helium escapes. Because the compact 3T uses so little helium, its installation at Mayo was considerably simplified. No vent stack was required, so the installation time and costs were reduced. Also because the compact scanner weighs about one-third as much as a standard 3T MRI machine, it can be transported more much easily. Though previous attempts by others to build smaller MRI scanners have not produced very encouraging results, Mayo Clinic’s investigators believe the Bioengineering Research Partnership has developed the necessary science and technology needed to address the previous problems, and the time is right for success.